So video games are really important to you so important that you would think about getting anything you need for you home based on video gaming. You are in luck as we just found you your new doormat. 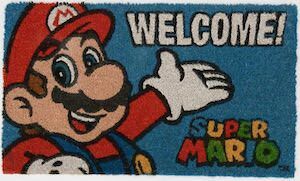 This doormat looks like a classic game controller and would just be perfect to be the first thing you put your feet on when you get home. This game controller doormat is 13 1/4 x 30 inch and just looks stunning. Leaving the house can become more difficult as it will remind you that you still didn’t finish that one level in your favorite game. 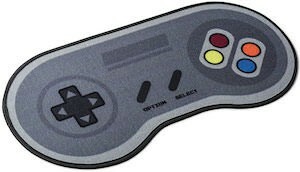 Ready to wipe your feet on this Game Controller Doormat? This Doormat is specially made for a computer nerd. Simple it has a keyboard printed on it. 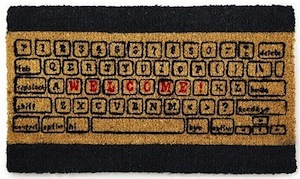 And besides the qwerty layout there is a part that spells out “welcome!” in red letters. This is a great mat for everyday use witch would last you a long time. So if you are looking for a keyboard without any wires or batteries then get this Computer Keyboard Doormat.